The Mull of Kintyre is one of Scotland’s most secluded spots and the journey to get to Kintyre cottages makes a beautiful trip in itself. There’s regular air service into Campbeltown Airport on Flybe. There is also a new Ferry service from Adrossan in Ayrshire to Campbeltown with Caledonia MacBrayne ferry (www.calmac.co.uk). Alternatively, The Kintyre Express fast rib can whisk you straight into Campbeltown Harbour from Troon or Turnberry in an hour. West Coast Motors provides a bus service from Glasgow. 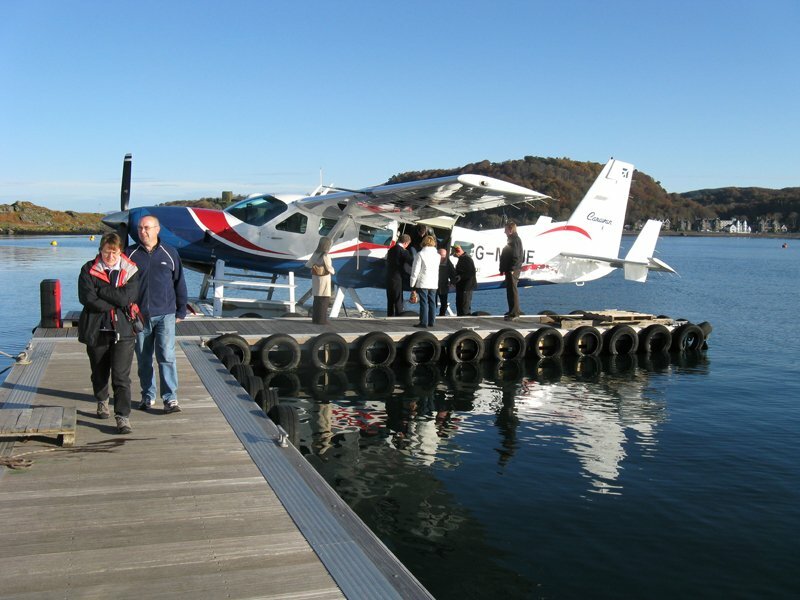 For the more adventurous you can arrange to arrive by seaplane from Loch Lomond, Prestwick or Northern Ireland. 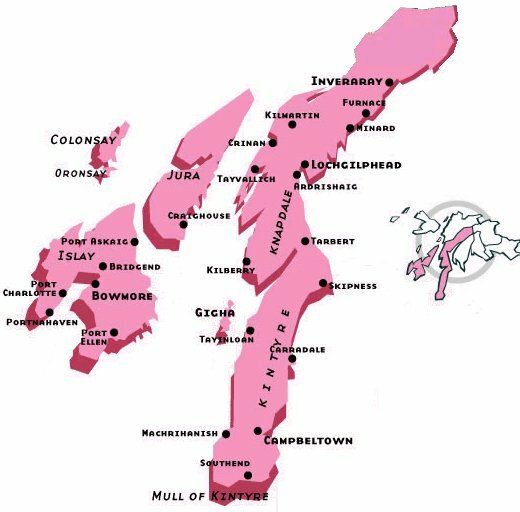 By CAR: Still The most popular means of reaching the Mull of Kintyre is by car via the A83 – The “long and winding road” which stretches down the Kintyre Peninsula from Loch Lomond through Tarbert and on down to Campbeltown. The a83 is one of the world’s great drives and provides breathtaking scenery along with many interesting attractions and stopping points. By Air: Air access is direct into Campbeltown Airport. The flight leaves twice daily from Glasgow, touching down in Campbeltown just 30 minutes later. The flight is currently operated by FLYBE. Local Taxis are readily available from the airport – alternatively call Fona Taxi 01586 554001 or Tavies Taxis 01586 551122. Car hire is also available (or call 01586 551122). For SAT NAV – PA28 6RE is the postcode that will bring you to the vicinity but not the individual cottage on Kildalloig Estate. Please follow our directions for each individual cottage carefully below in order not to get lost! From Glasgow/Glasgow Airport (M8) follow signs to the Erskine Bridge. As you come off the bridge, take the left exit signposted A82 towards loch Lomond and Inverary. Take the A82 Passing Loch Lomond, rest and be thankful, Inverary castle and on through Lochgilphead, Tarbert and finally on to Campbeltown. On arrival into Campbeltown, follow the road through the town until you reach a t-junction in the centre of the town – take a left, at the roundabout take a right which will take you along the esplanade. Take a right at the next small roundabout and follow the road (Kilkerran road) around to the left which will take you out of the town and along the coast road for approximately 3 miles towards the island of Davaar and Kintyre cottages. To Kildalloig Farm cottages (the old Coach House & Archie’s Farmhouse) – continue on the coast road (Kilkerran road) passing Davaar Island on your left, you will come to a large white house with a high wall and a sharp right hand bend. Continue on for another ¾ mile until you see the farm driveway (wide opening with stone walls either side) on your right – take this road up which will bring you to the cottages. To Ballimenach – continue on the coast road (Kilkerran road) passing Davaar Island on your left, you will come to a large white house and a sharp right hand bend. Continue on for another mile and you should see Ballimenach which is a white farmhouse perched on the hill up ahead of you. Pass by a large layby and small sheep fank (stone walled area) to your left and continue up the hill – Ballimenach is 150m up the hill on the right hand side. To Fisherman’s & New Orleans cottages – continue on the coast road (Kilkerran road) passing Davaar Island on your left, you will come to a large white house and a sharp right hand bend. Continue on for another mile until you see a small sheep fank (stone sheep pens) on your left – take a left here bringing you to a gate which will lead to a farm track and on to Fisherman’s Cottage. The track continues to the right and brings you to a further gate which in turn will take you around the headland toNew Orleans. To Auchenhoan –Pass Ballimenach Cottage on your right and continue up the hill for another 2 miles along a single track winding road. Auchenhoan farmhouse is the first sign of habitation you will come to on the right adjacent to a smaller cottage. To Davaar Island – continue on the coast road (Kilkerran road) out of the town for approximately 2 ½ miles. You will pass the NATO depo on your right. Soon after you will come to a large layby on your left which is the parking area for guests to Davaar Island. Transport to the island will be provided. Please contact us to confirm your travel plans – your arrival should coincide with the low tide (see BBC Weather tide tables).